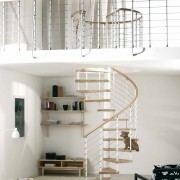 The Kloe spiral staircase comprises of Beech treads, powder coated steel barrels / balusters and a Polurethane timber effect handrail. 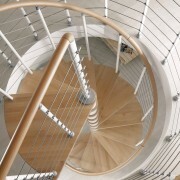 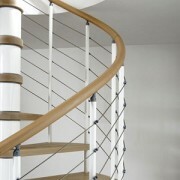 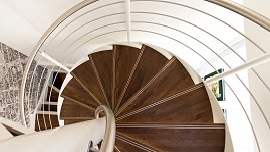 Wrapped around the outside of the stair and connected to the balusters are horizontal steel wires. The system comes in four different diameters: 1.2m, 1.4m, 1.5m and 1.6m. 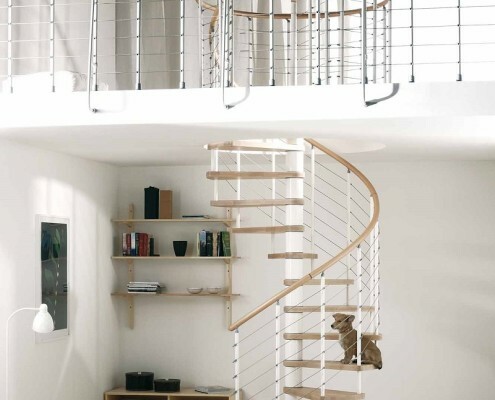 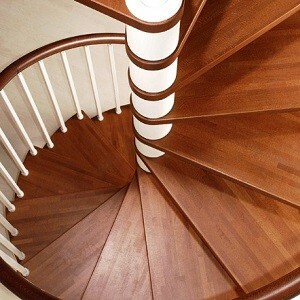 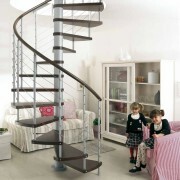 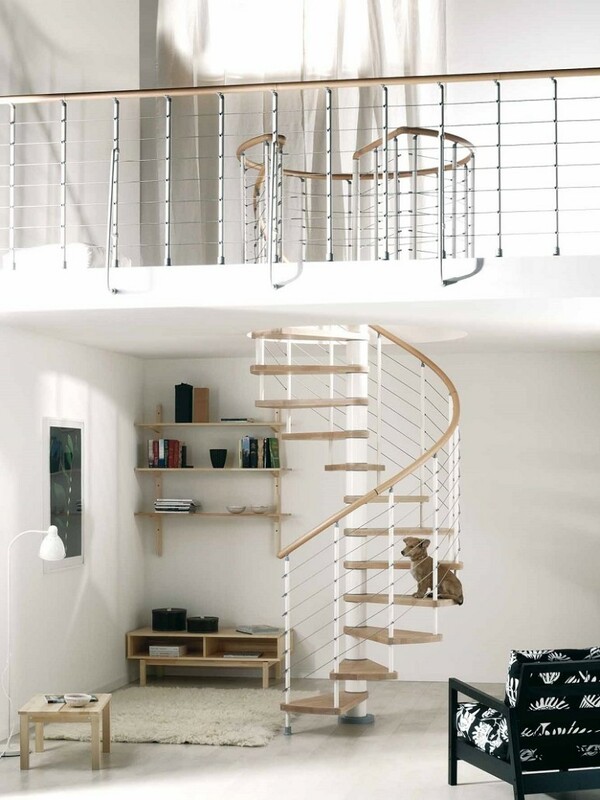 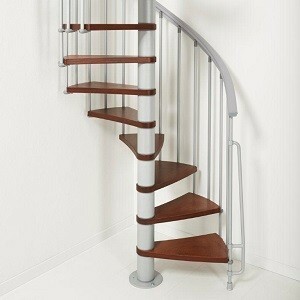 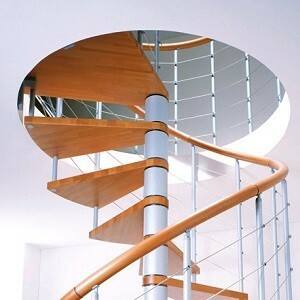 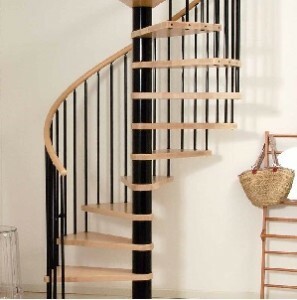 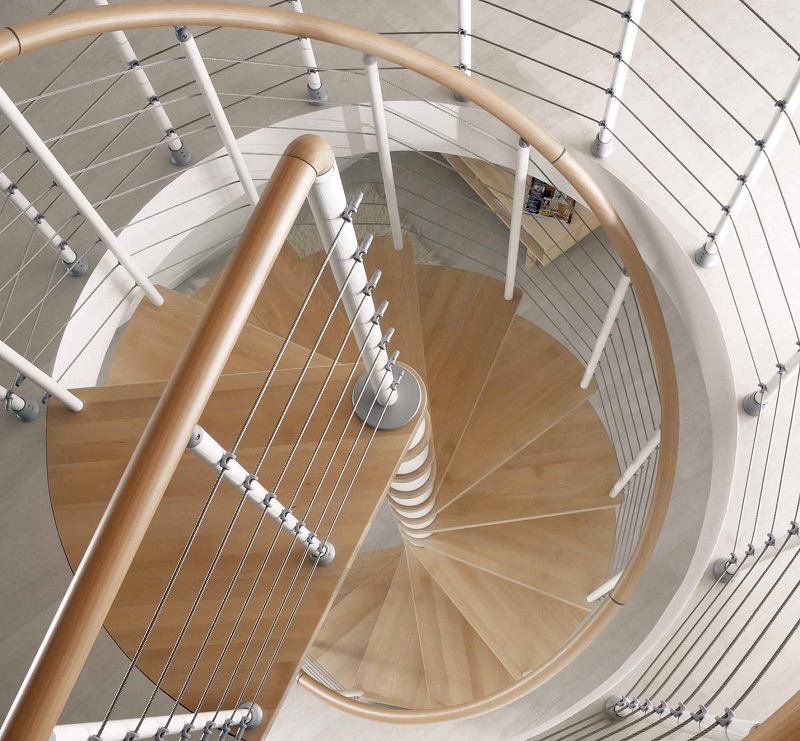 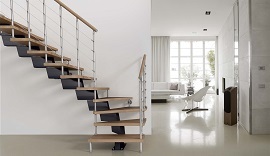 The Kloe spiral staircase can come in four different diameters: 1.2m, 1.4m, 1.5m or 1.6m it can also serve floor to floor heights of between 2.1m – 3.76m with a step per rise adjustable any where between 210 – 235mm. 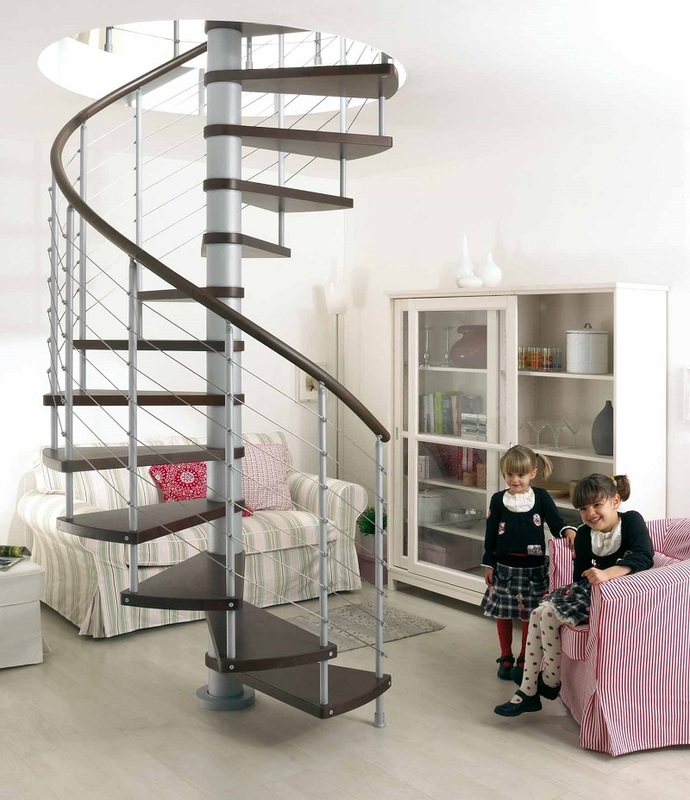 Prices for the standard kit of 13 risers are £ 1599.00, £ 1,849.00 and £1,899.00 (Including VAT and delivery) for the 1.2m, 1.4m and 1.5m / 1.6m respectively. 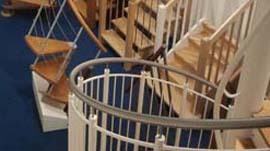 Delivery takes approximately 10 – 15 working days from order of staircase, if you need the stair any quicker than this please call us on 01794 522 444 as on occasions we can speed up this process.